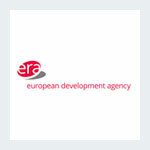 European Development Agency (EUDA) provides state-of-the-art international expertise for schools, international transfer of know-how, networking of key stakeholders and through development and implementation of projects on regional, national and transnational level. EUDA has participated in many international cooperation projects, focused mainly on innovation in education and on social innovation. EUDA has a long and successful track record in mobility of students and employees, internship/placement schemes and on cooperation between educational institutions and enterprises. The most successful implemented projects include Erasmus Work Placements Consortium with two top Prague’s universities, organization of PLM mobilities within the Lifelong Learning Programme, DENS Project (within the PROGRESS Programme), Key Roma and I am Roma Projects, Current Trends in Social Innovation Project and Active Ageing Project within ESF Programme, 4 innovation projects in the Central Europe Programme (ACCESS, BICY, E2BEBIS and CENILS) and others. In the Czech Consortium is involved the Secondary Technical School Otrokovice. It belongs to the biggest public schools in the Zlín Region (South Moravia region). The school provides a wide scale of educational programmes such as chemistry, mecanical engineering, building industry, electro and services. The school runs one own technology park and has long term experience with Erasmus+ projects (both KA1 and KA2 projects).